Happy National Donut Day! 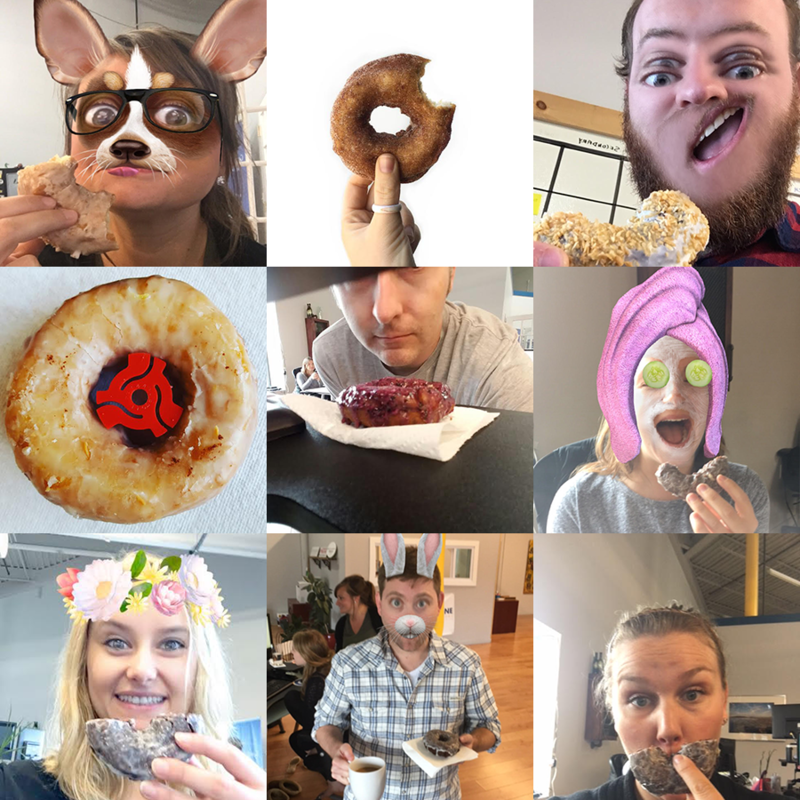 Check out the Page One team's "Ode to the Donut" as we celebrate this sweet holiday to end our super busy week. According to ancient legend, the first Friday in June marks National Donut or Doughnut Day. Each year on this day, hundreds of thousands of people around the globe participate by sharing, consuming, and taking selfies with these treats. Besides using today as an excuse to hit up our favorite donut shop in Portland, the Holy Donut, we did some digging to find out the actual history behind this delicious holiday. We found that this day is celebrated to honor the female volunteers for the Salvation Army, also known as the Salvation Army Lassies, that served donuts to soldiers during World War I. The original "Salvation Army Doughnut" was served in 1917 to the American infantrymen and soldiers who were often referred to as "doughboys." However, the donuts made almost one hundred years ago were often cooked in oil placed inside the soldiers' metal helmets. It wasn't until 1938 when the Salvation Army officially deemed this day a national holiday originating out of Chicago's Salvation Army in which all proceeds were donated to help those who were impacted by the Great Depression. Check out the creative ways our staff celebrated today below and feel free to share with us how you celebrated in the comments below!